If you haven't had a chance to see the Vancouver Warriors yet, this Saturday is a great game to get to! Come cheer on our very own Richmond Lacrosse player Jordan Gilles, as the Colorado Mammoth take on the Vancouver Warriors at Rogers Arena. Jordan played with Richmond Lacrosse from the early 2000's and graduated as a midget player in 2010 before player Junior lacrosse with Delta and Coquitlam. 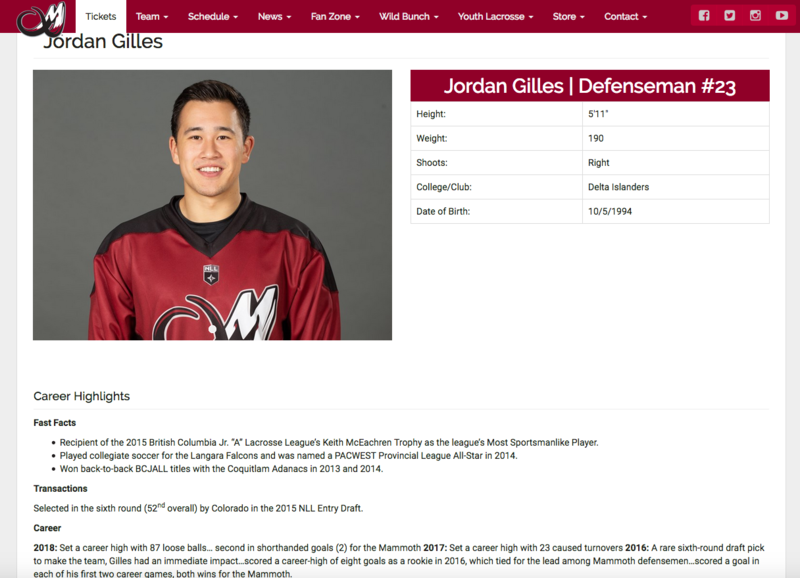 Drafted by Colorado in 2015, Jordan left his soccer team at Langara and began his professional lacrosse career.